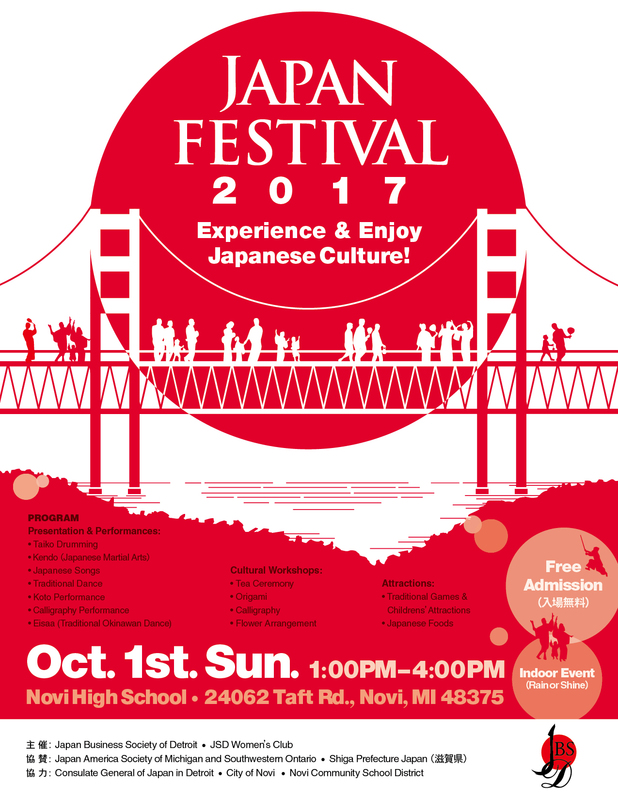 JBSD and JSD Women’s Club cohost Japan Festival 2017 at Novi High School. Fun games and Japanese foods are available in addition to performance and exhibition of Japanese culture. Also, authentic performances of Japanese Taiko, Koto, Japanese Songs, Traditional Japanese Dance, and Kendo are offered at Auditorium. Please join the festival with your families and friends.